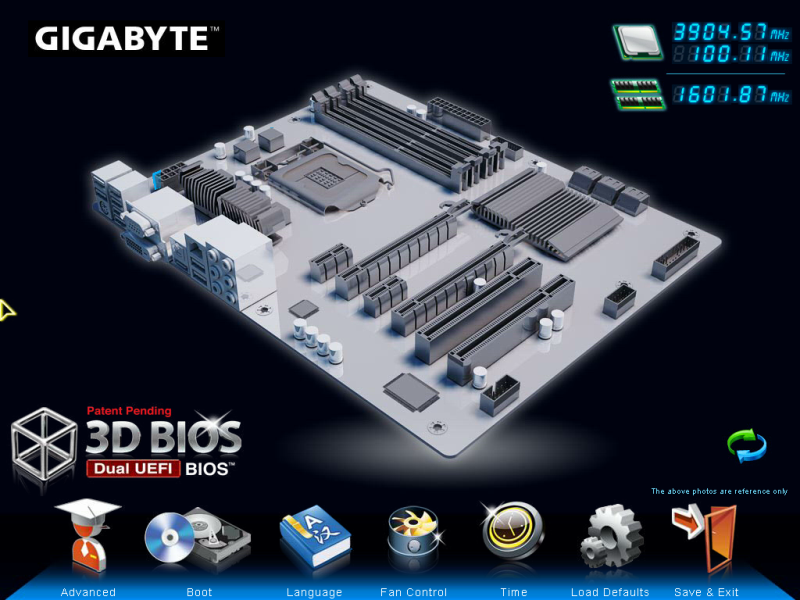 In their newest series of motherboards, Gigabyte has replaced the traditional motherboard BIOS with UEFI, a newer (and better-looking) interface for managing motherboard settings. The layout of the UEFI on Gigabyte motherboards is different from the old BIOS layout, and there are a few new settings that need to be changed to work optimally with Mac OS X. Rather than adding yet another section to our standard OS X installation guides, we've put together a separate guide to cover the UEFI setup process. NOTE: This guide primarily applies to the UEFI on older Gigabyte motherboards with the LGA 1155 socket-- this means P67, Z68, Z77, H67, H77, B75, and Q77 motherboards. If you use a newer motherboard with the LGA 1150 socket, ignore the sections on xHCI and EHCI. Not sure whether your computer's motherboard uses BIOS or UEFI? Here's a quick tip to differentiating between the two: the interface of BIOS is usually monochrome and entirely text-based. 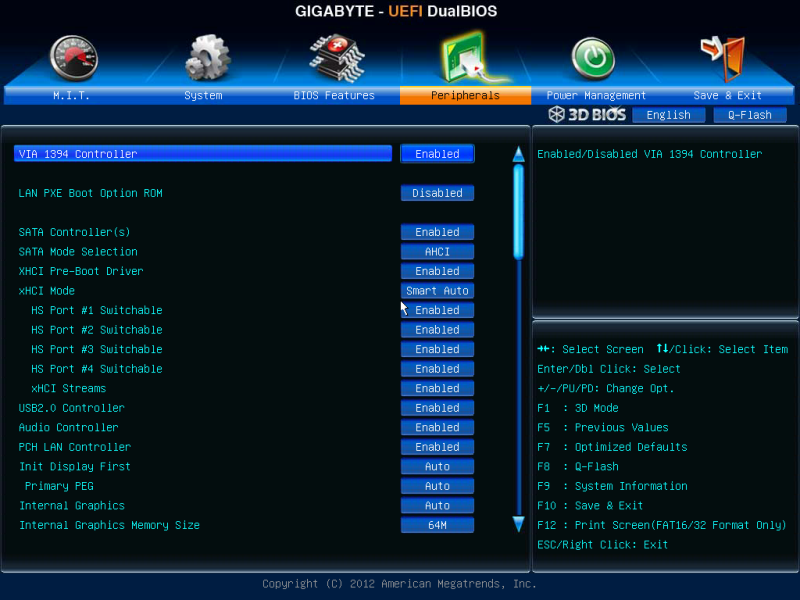 Meanwhile, the interface of UEFI usually has pictures, and allows you to use your mouse pointer. To enter the UEFI on a Gigabyte motherboard, press the delete key when your computer boots (before the operating system starts). 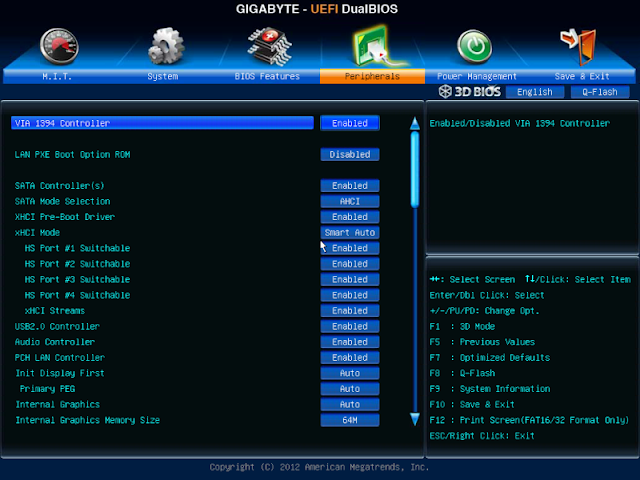 Different manufacturers set different keys for opening the UEFI. On some Gigabyte motherboards, this will bring you to the "3D BIOS". 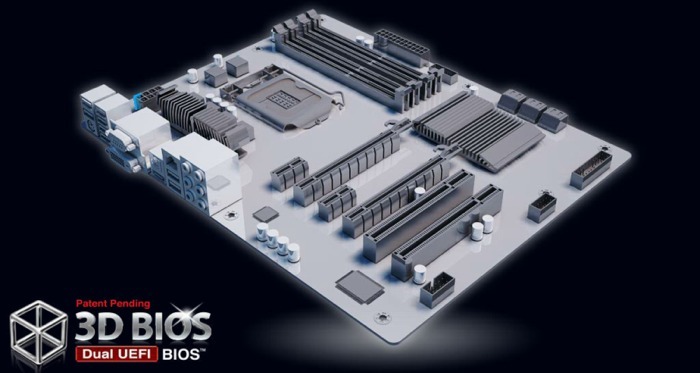 From here, you can choose which specific part of your motherboard that you want to manage. 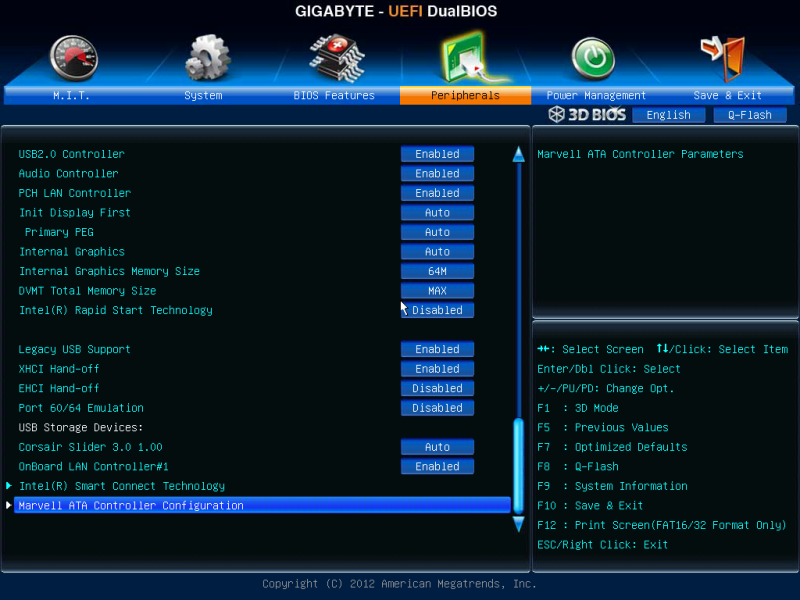 However, the 3D BIOS is kind of annoying to use. Instead, click on the "Advanced" section in your UEFI instead (UEFI allows you to use your mouse cursor). This will lead you to a more standard-looking settings page. Boot Option Priorities - Change "Boot Option #1" to your USB drive. You need to do this for Unibeast to work. After you finish installing Mac OS X, you should change this setting back to default, so your main hard disk is the first boot option (this optional, but it will speed up your boot times later on). 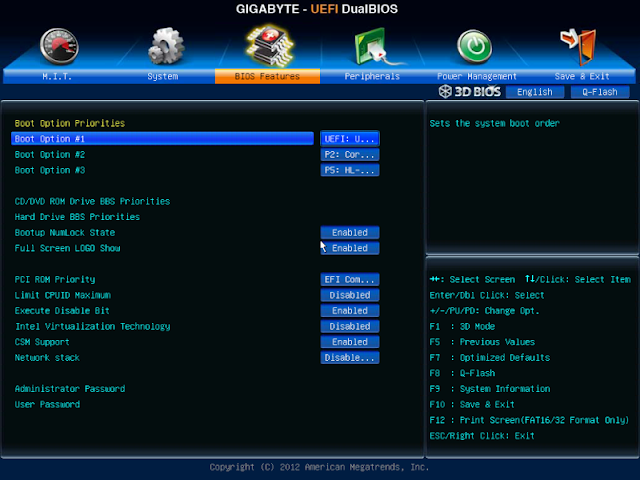 On Gigabyte motherboards, the settings page will often show you two versions of each hard disk: the UEFI version (usually labeled as "UEFI"), and the legacy version (usually labeled as "P", "SATA," or "Legacy"). If you installed OS X El Capitan through the Unibeast method, you must set the UEFI version as first priority. This is because Hackintoshes with El Capitan use the Clover bootloader, which only works with UEFI boot. However, if you are installing an older version of OS X through the Unibeast method (e.g. Yosemite, Mavericks, etc. ), you must select the legacy version as first priority. This is because Hackintoshes with older versions of OS X usually use Chameleon or Chimera bootloader, which does not support UEFI boot. xHCI Mode - Change this to "Auto". This setting is usually set to "Smart Auto", which doesn't work. xHCI Hand-off / EHCI Hand-off - Make sure both of these settings are enabled. Even though the UEFI supports using a mouse, it'll probably be easier to navigate through the UEFI with the arrow keys on your keyboard. Press "Enter" to change a selected option in the UEFI. 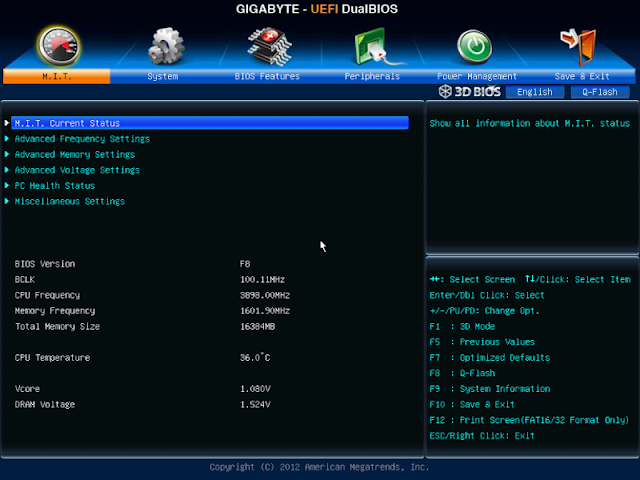 On a Gigabyte motherboard, press F10 to save my changes.